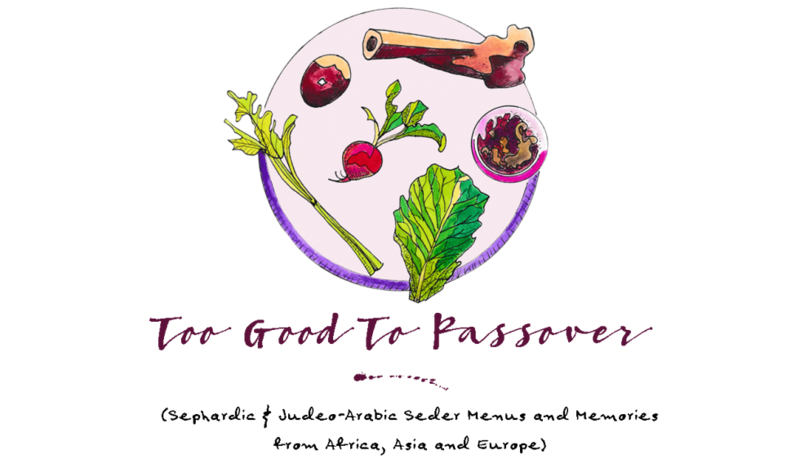 Welcome to my blog, “Too Good to Passover”! After teaching for more than ten years, both privately as well as in three major cooking schools in the New York City area, I started to see how much interest there was in not just Sephardic Passover food, but in the varying traditions and rituals kept during this unique holiday. Even though the majority of the Jewish community in the United States is Ashkenazim (really meaning, “German,” but used generally to describe all Eastern European Jews from places such as Poland and Russia, among others) there is a great deal of interest in the cooking and culture of the Sephardim (meaning, “Spanish,” for those who once resided in Spain and fled to various regions of the Mediterranean and Middle East during the Inquisitions). To keep up with this interest I started to develop Sephardic, Mediterranean, and Middle Eastern Passover cooking classes composed of recipes that I learned from others from such Jewish communities as Turkey, Greece, Morocco, Algeria, Tunisia, Egypt, Iraq, Iran, Italy, Libya, Yemen, and Syria, to name a few. For several years I interviewed individuals, recording their traditional recipes and memories of Passover while growing up until I was able to put them together in a Sephardic Passover cookbook that I plan to print and publish in the coming years. In the meantime, I thought that the blog would be a great way to not only motivate myself with this cookbook project (in order to bring it to completion), but to connect with others who also have a special love for this unique holiday and want to share recipes and stories from their own families in hopes that they too will be preserved. I’m so proud of you and all of the amazing culinary feats you have done. You are phenomenal my friend. You asked about the word ari for syrup. In Spanish the word is “jarobe” so there is a similarity. Perhaps that is how it developed.